Looking for a delicious soup to take to a Halloween party this coming weekend? 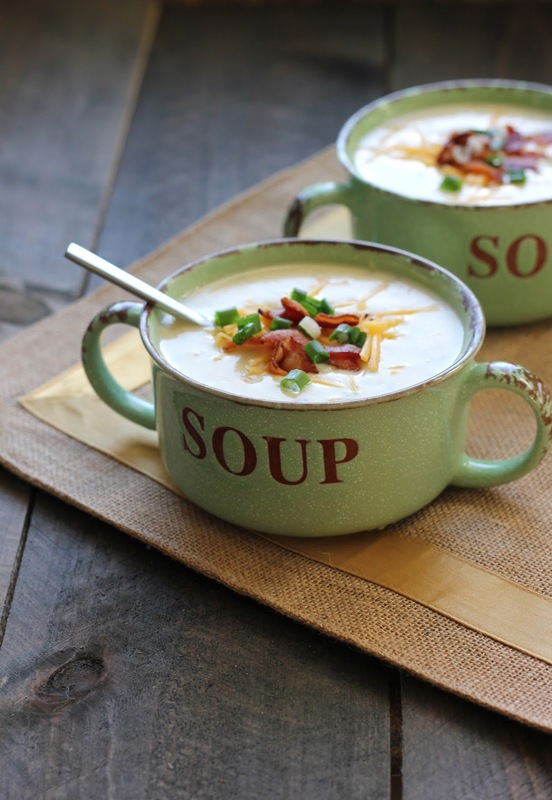 This classic potato soup is simple to make. In less than an hour you can have homemade potato soup to fill up those tummies before heading out to trick or treat. I think it’s a great idea to make sure the kids (and adults) get a hearty dinner before we all go crazy over candy. 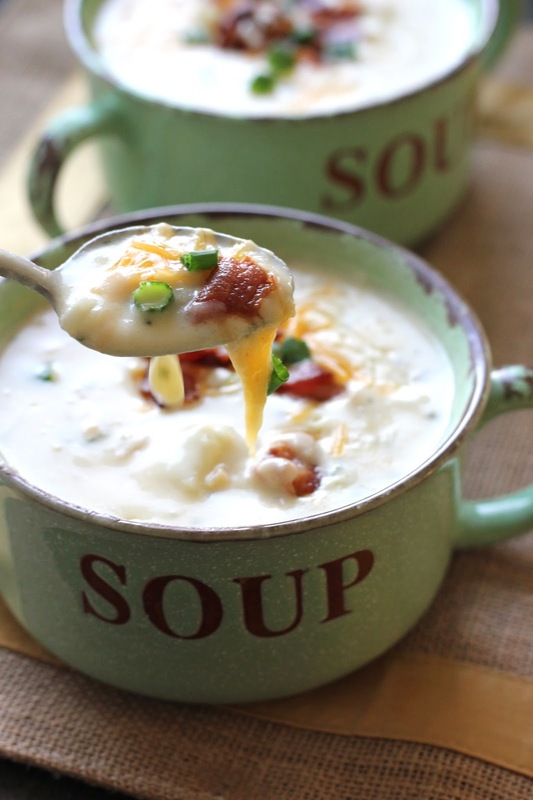 Topped with bacon, cheese & green onion, this soup is total comfort. Perfect for a chilly night. Cut up bacon into 1" pieces. Saute over medium-low heat. Spoon out the bacon when almost crispy and set aside on a paper towel. Use 3 T. of the bacon grease to saute the onion over medium-low heat until soft. While the onion is sautéing, peel potatoes then dice into 1-2" cubes. Put in a large pot. Add water until the potatoes are barely covered. Spoon the cooked onions out of the pan & add them to the pot of potatoes. Boil for 10-15 until the potatoes are tender. Turn down the heat to medium-low. Add the cream of chicken soup, evaporated milk, salt & parsley. Stir and heat together but do not boil. It will thicken up some as it heats through. Top soup with grated cheese, bacon & green onions. Notes: This is great served with cornbread. I'm so glad you set me straight with those "soup" bowls! 😉 I love how easy this soup is to make, and it looks delicious. Thanks for sharing it with us at Saturday Night Fever!